Volume Apparel knows the importance of high quality, affordable wholesale clothing. Our wholesale men’s shorts and pants offer both comfort and style without breaking the bank. Our stock includes gym shorts, cargo shorts, casual khakis, and lounge pants for men. Your customers will be dressing great from bottom to top with Volume Apparel’s collection of wholesale pants and shorts for men. Check out our collection of men’s tops to create a cohesive collection of products for your store. National Outfitters men's yarn dye cargo short. Northwest Blue men's union suit. Northwest Blue® men's flannel plaid lounge pant. Novelty print men's assorted swimsuits. MCPJC men's thermal drawstring waist w/y/d trim lounge pant. MONTE CARLO POLO AND JOCKEY CLUB® men's poplin lounge pant. MONTE CARLO POLO AND JOCKEY CLUB® mens plaid poplin dorm pant. MONTE CARLO POLO AND JOCKEY CLUB® men's jersey patch lounge pant. MONTE CARLO POLO AND JOCKEY CLUB® men's flannel plaid lounge pant. National Outfitters men's distressed cargo shorts. 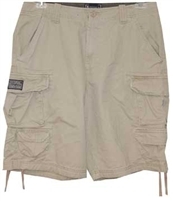 National Outfitters men's cargo shorts. MONTE CARLO POLO AND JOCKEY CLUB® mens yarn dye flannel plaid dorm pants. Browse through our collection of men’s slacks in bulk for retailers to stock your store today. Volume Apparel is set apart from other wholesale clothing stores because of our high quality products, our excellent customer service, and our quick shipping policies. We Can Ship Same Day – Need your bulk men’s slacks fast? If you place your order before 12pm EST, you’ll get same day shipping! We keep our warehouses fully stocked so we can fill your orders quickly and efficiently. Amazing Customer Service – Volume Apparel promises to always put you first. If you have any questions about placing an order, don’t hesitate to call or email. We’d be happy to help. Give us a call today at 1-800-933-9668 to learn more about ordering wholesale men’s shirts online at Volume Apparel.